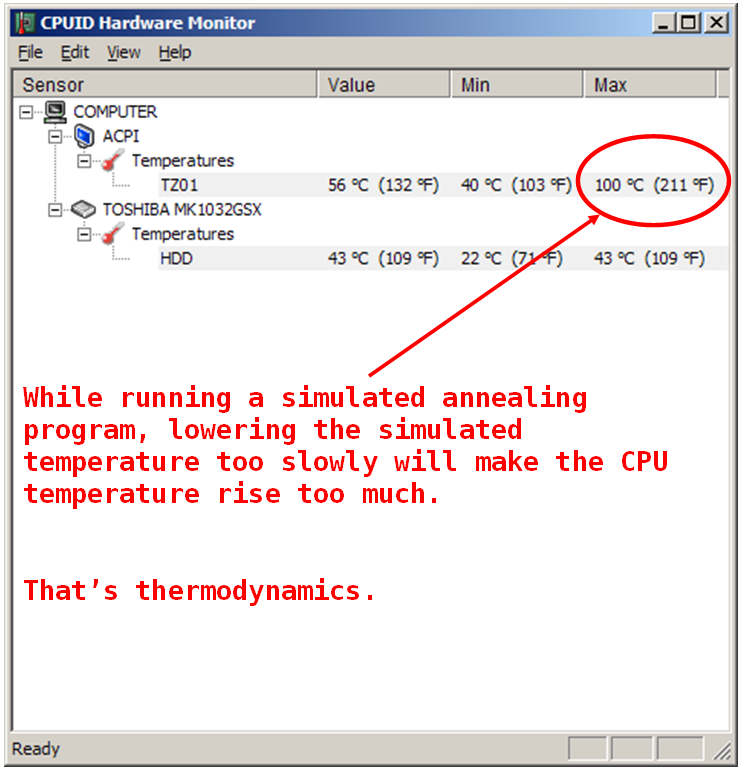 If you let the temperature rise even more, eventually all the silicon in the CPU will become glass and you have a quantum computer! P.S. : Nice to see you blogging again.